Are you thinking about volunteering at Ironman Wisconsin & want to get to know others who will be out there on the course supporting our athletes? On Weds. 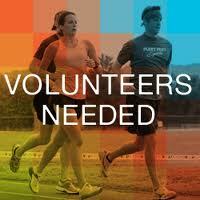 June 4th at 5:45pm, we will have an Ironman Volunteer Fun Run at Fleet Feet Madison - 8440 Old Sauk Road. Director of Volunteers Ironman Wisconsin, Mandy Mommaerts, will be raffling off cool Ironman gear & can answer any questions you may have. Invite friends & family who are thinking about volunteering, too! All levels & paces are welcome with 6 mile, 3 mile & 1.5 mile routes to run or walk! Also, keep in mind that Fleet Feet is conveniently located next to Orange Leaf Frozen Yogurt...a great spot for after-fun-run volunteer strategizing!